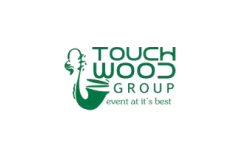 Business description - Touchwood Entertainment specializes in Events Management, offering all of its clients a complete variety of event facilities, ranging from event planning & marketing to production and legal services for the events. The company has a 35 member team with a fully developed and functional in-house production facility. The panel of skilled craftsmen and band of highly qualified designers add the extra edge to its platter of deliverables. The company’s corporate office is in New Delhi and its footprint extends to Africa, Middle East, South East and Europe, giving its work and thought process a global perspective. Any one. Sugeeest wats. Listing. Rate? Seems like a nice investment. Company performance in the past years has been good. Investing in it! let”s hope for the best. Early mover advantage stage. On performance front, TEL has posted turnover/net profits of Rs. 3.93 cr. / Rs. –(0.81) cr. (FY14), Rs. 6.22 cr. / Rs. 0.06 cr. (FY15), Rs. 12.77 cr. / Rs. 0.03 cr. (FY16) and Rs. 13.42 cr. / Rs. 1.01 cr. (FY17).